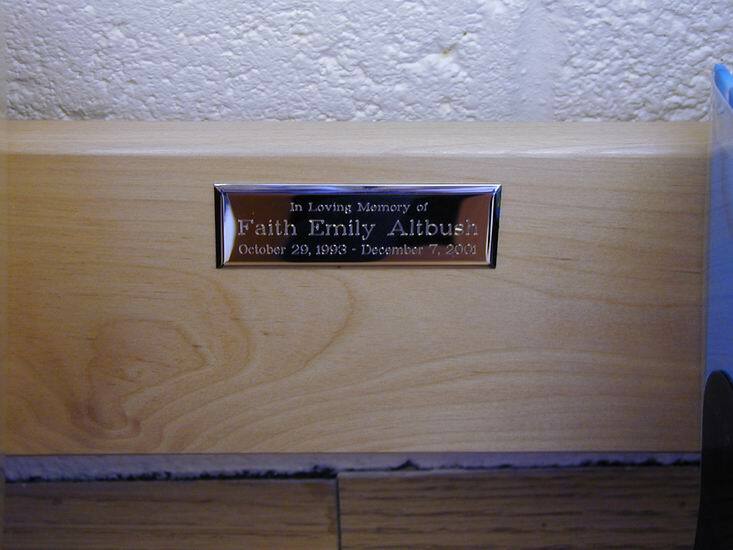 In January and February, 2002, the parents at Faith's school donated funds to create a special section in the Library in Faith's memory. 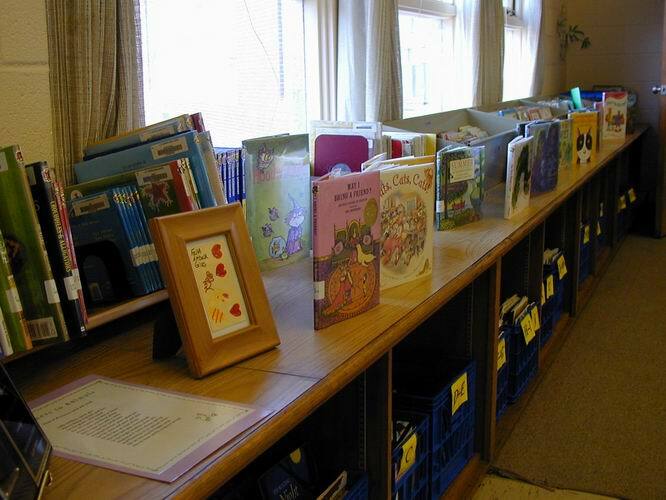 Through their generosity, 100 books were purchased. 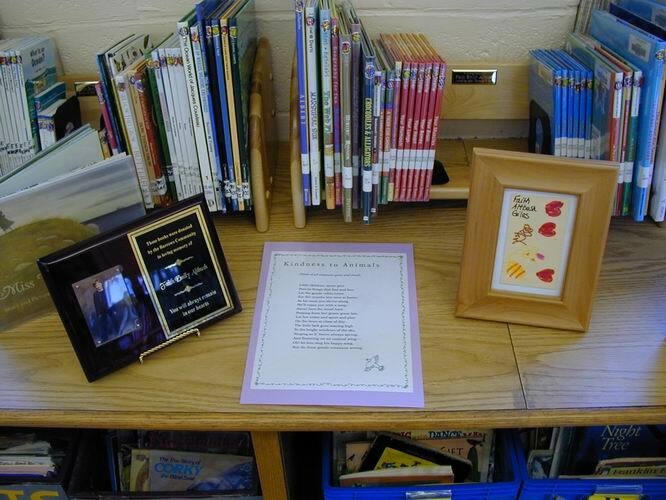 Faith especially loved poetry and books about animals. 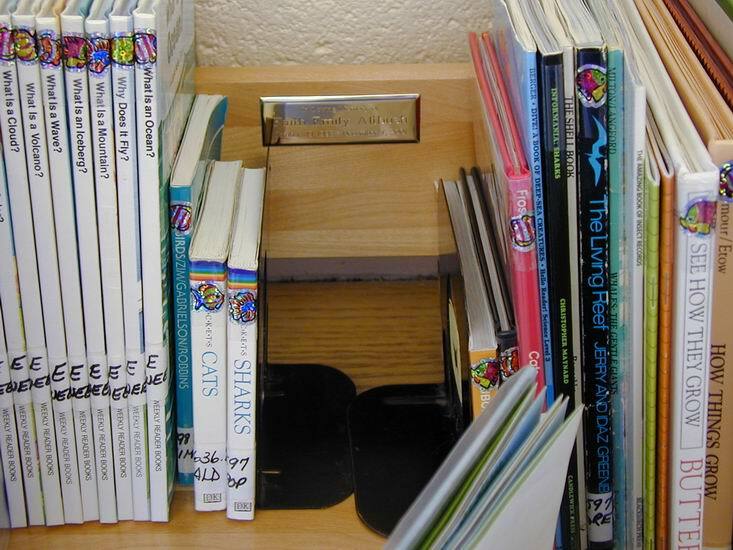 With great love, the school selected a magnificent assortment of books in this vein. We donated about 40 books from Faith's own library. Each of the books in this special collection is identified with a bookplate with her name. 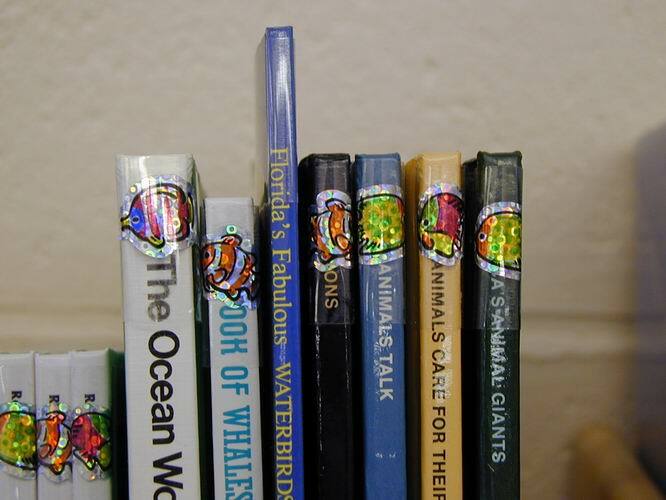 A colorful fish sticker adorns the spine of each book. In addition, a plaque with her picture was donated by Crown Trophy of Lowell, MA. Marilyn even found the hand drawn library card that Faith used throughout first grade; Faith's teacher had it framed and added it to the tribute. I had occasion to return to the Library two days later. 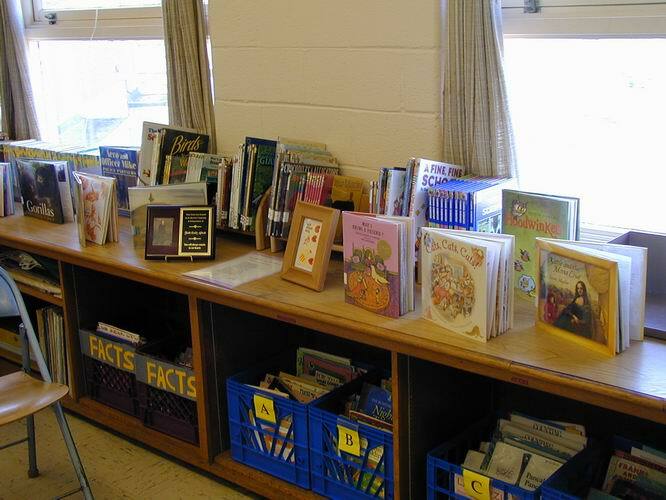 The Librarian pointed to the shelves that had been full of the new books. The books were gone! Well, actually they were in circulation. That is the beauty of this tribute. The children are having fun exploring and enjoying these new volumes. All in all, this is the most wonderful tribute to Faith that we could possibly imagine. We have just returned from the remembrance service held in the Barrows Library to dedicate the special collection of books purchased in Faith's memory. This was a deeply emotional day for all of us in the Altbush family. But we are so happy that you have chosen this way to honor our daughter. Faith loved books. And like most of the kids at Barrows, she loved being in the Library. Her spirit is in this school and certainly in that place. This is a room that bustles with activity and is filled with fun and excitement. There are so many people here that remember her and cared for her. There are bookplates and special markers that echo with her name. And what a terrific sight it is to behold so many beautiful books filled with poetry and animal stories. This tribute is fitting for another important reason. Throughout Faith's illness, the Library was a special source of comfort for her. 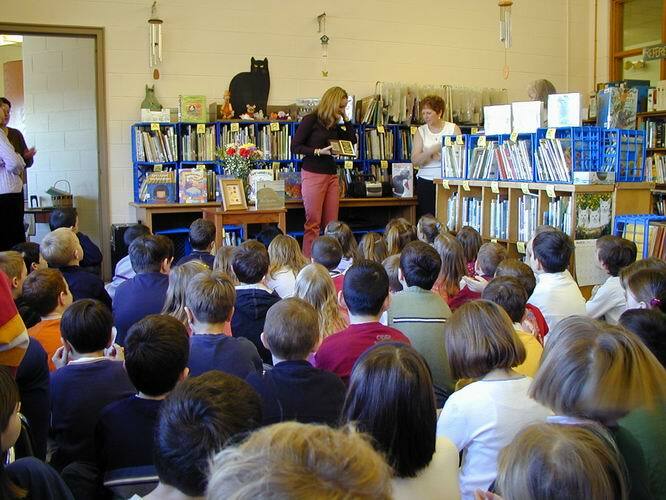 When Faith had to miss school, Nancy Bronson made sure that we had an ample supply of books to entertain her. When Faith was no longer able to return to class, Nancy came to our house with books (and chimes!) to keep Faith connected to the school and the routines that she loved so much. For everyone who misses Faith, we hope that these books are a special source of comfort as well. Please accept our thanks for everything you have done to bring this project to fruition. You have given Faith the perfect tribute and found the best way to bring solace to our hearts and to everyone who grieves for her. A selection of pictures from this event follows. Click on any of the images below to see the full picture.